I don't know about you, but sometimes I grow bored with my daily bowl of protein oatmeal. Time to switch it up... 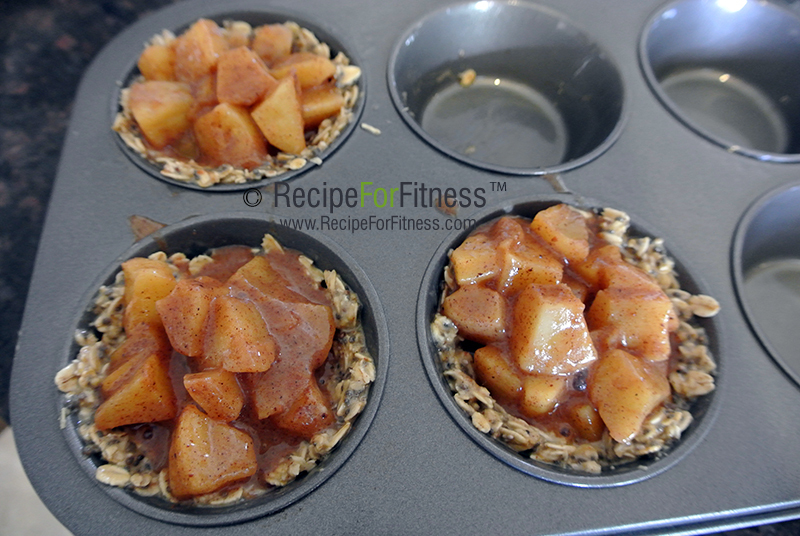 Here's a super filling, dense, apple-pie muffin that is simply a bowl of oatmeal served a different way! PLUS... 17 grams of fiber. Full of muscle building protein, metabolism boosting carbs, and heart healthy fats - these muffins should be wearing a cape! Core, peel and dice apple. 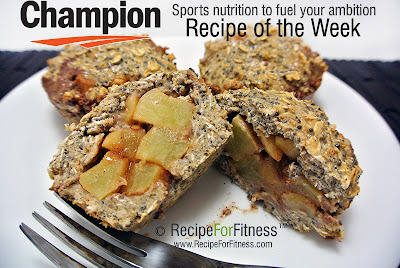 In a medium bowl, mix apple pieces, 1 tsp cinnamon, dash of nutmeg, stevia, butter and vanilla. Add 3 Tbsp water and mix well. Microwave for 1 minute, stir, then cook 1 more minute. Set aside. In a medium bowl, mix oats, protein powder, 1/4 tsp cinnamon and chia seed. Add enough water to make it pasty. 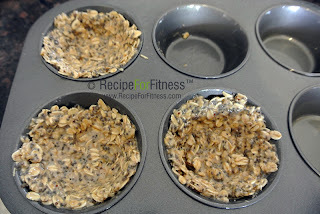 Using a spoon, line 3 muffin cups with oat mix, like a pie shell, reserving enough to top the muffins. 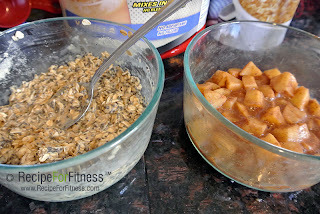 Divide the apple mixture between the 3 cups. 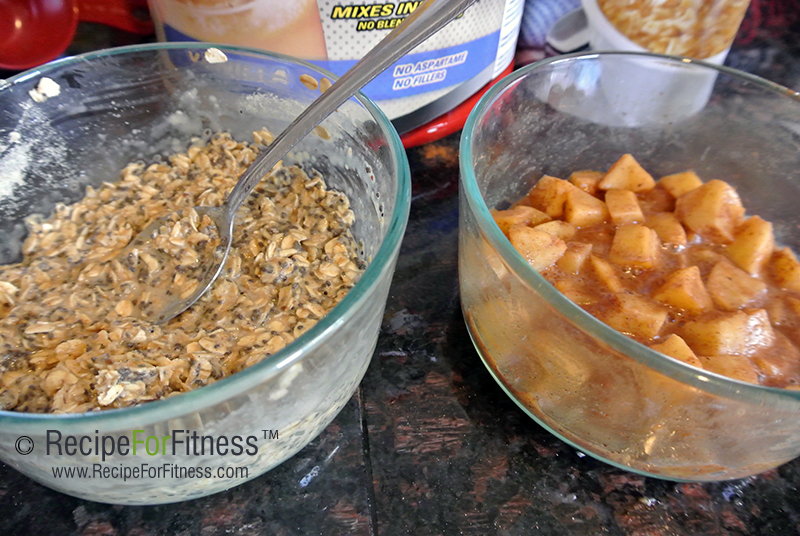 Top with remaining oat mix, spreading over the apples. 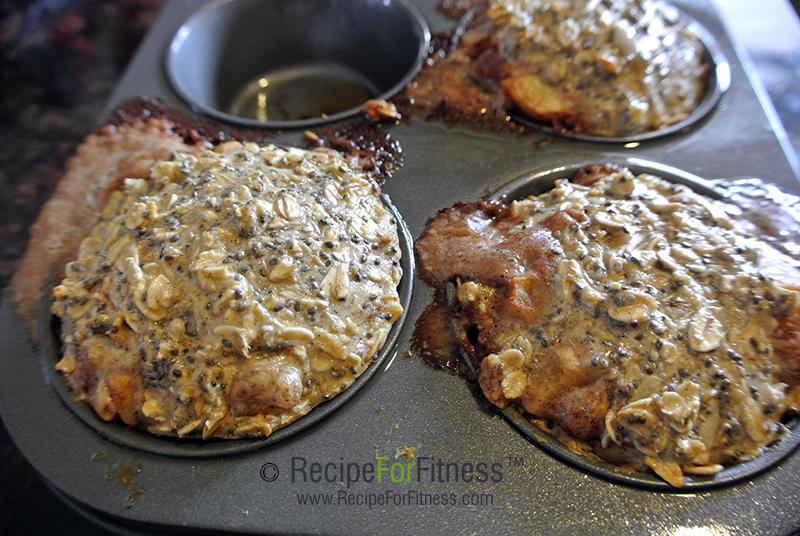 Bake at 350 for 10-12 minutes, (tops of muffins will be glossy, but you can tap on them). Using a spoon to loosen the sides, release muffins from tin. TIP: Be careful to not overbake these - the tops might look wet, but tap on them to check for doneness. If they bake too long they become rocks (oops, lol!). 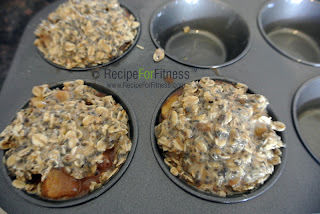 ALTERNATIVE: mix together the oatmeal and apples and bake as apple muffins. NUTRITION per serving (3 muffins): 586 calories, 43 grams protein, 61 grams carbohydrates, 19 grams fat, 17 grams fiber, 155 mg sodium. 44 grams net carbs. 33/33/32. Hahaha, Audra! LOL. You can use a small pyrex bowl, too ;-) Just make it one big muffin. 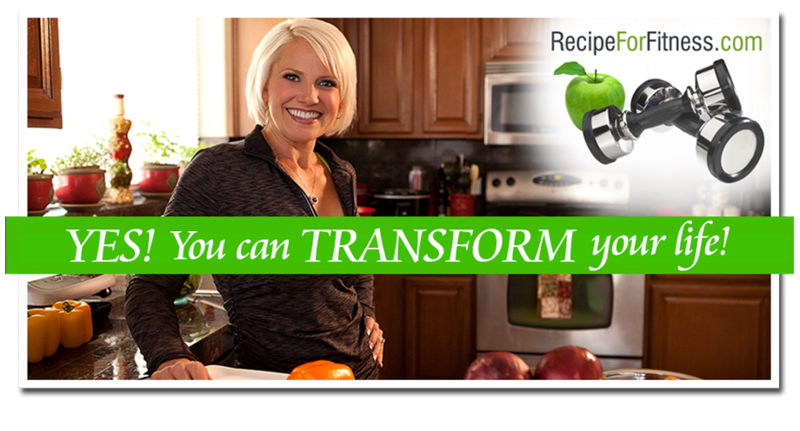 Chelle thanks so much for breaking it down on your food prep. That's where I'm struggling, so it doesn't get done and it's not a good thing then. Coming up with different ideas then acting upon them have been a challenge. Those muffins look great! For someone who has a dairy allergy, could I substitute coconut oil for the butter and maybe use a different protein powder? Just found your site. Used to follow you on the old Clean Eating blog. This recipe looks delish. I can't believe one serving is three muffins! I'd be full after one. I'll definitely be giving these a try.